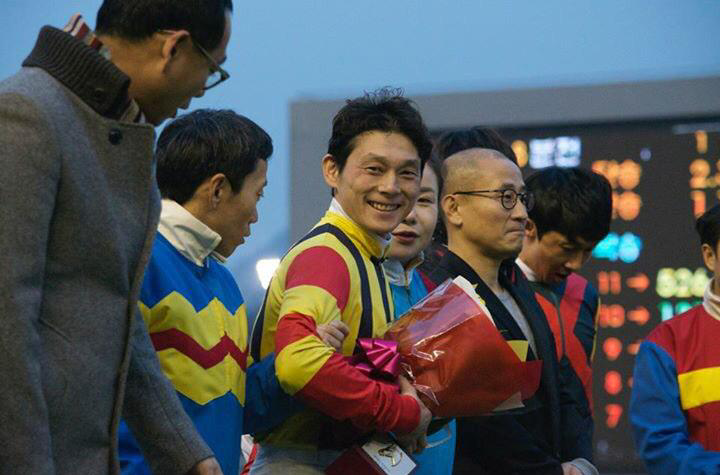 Seoul’s Jockey of the Year for 2014 as called time on his second sojourn in the country as Ikuyasu Kurakane will return home following this weekend’s racing. And the Japanese rider has plenty of opportunities to add to his remarkable 288 winners in the country before he heads to the airport. Kurakane rides plenty of faovurites across the weekend, especially on Saturday, as connections look to make use of his services one more time. There’e plenty more happening too on a busy three days of racing. Both Seoul and Busan host class 1’s. Things get underway at Busan on Friday when Hangangui Gijeok will be favourite for the big handicap over a mile. Ghost Whisper and Grand Teukgeup look to have the best chance of stopping him. There is another big race at Busan on Sunday when the pair of Gamdonguibada and New York Blue face each other yet again. They’ll be joined by Heba and Lion Santa, anong others for the 1800M test. Seoul’s class 1’s include a competetive 7-furlong sprint on Saturday with Mirae Yeongung looking the pick while on Sunday Unbeatable and Big Curlin will be top-rated in the final event of the weekend over 2000m. It’s set to be a chilly but dry and bright weekend, so with big competitive fields, it’s a great time to come racing! The fun’s over for the Seoul Jockey colony. There have been plenty of wins to go around so far this year but the main man was back this weekend. 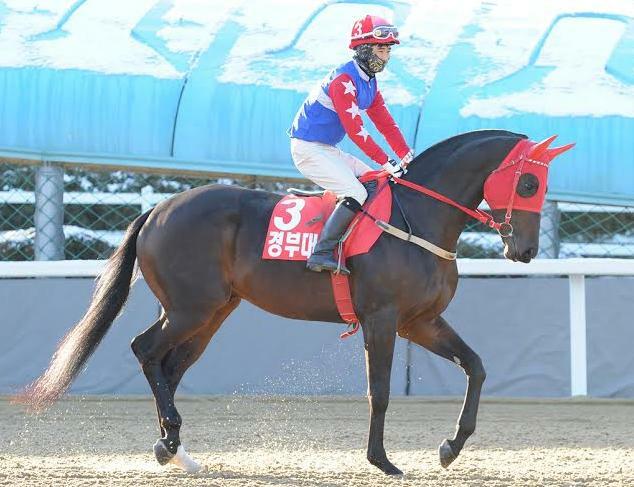 And Moon Se Young promptly asserted his dominance riding eight winners across the weekend. Last year’s champion jockey picked up a 6-meeting ban during the final weekend of 2014 giving him a pleasant few weeks off on what should have been the coldest race-days of the winter. As it transpired, it wasn’t that cold but in his return to race riding this weekend, Moon was red-hot. To the surprise of no-one, he was in the winner’s circle after his first ride back on Saturday and he would return there a further seven times across the weekend – two more on Saturday followed five on Sunday. He added three 2nd places and two 3rds and is remarkably already in 3rd place in the 2015 Jockey Championship. Park Tae Jong, racing’s “President”, will know its odds-on Moon Se Young will have overtaken him at the top by the end of next weekend. At Busan, the performance of the day came from Cinderella Man. The Peter Wolsley trained 4-year-old made his class 1 debut in the feature handicap. Under Jo Sung Gon, he led home last year’s Derby winner Queen’s Blade and solid handicapper My Key for victory by just under three lengths. Cinderella Man (Southern Image) now has seven wins from ten career starts and looks a force to be reckoned with. Aussie trainer Wolsley has built up another strong stable this year and already sits in third place in the Trainer Championship. Another promising one of his, the (poorly-spelled, in an orthographical rather than a having a rest on the farm way) Diferent Dimension (Into Mischief) was an easy winner on Friday. Also on the foreign training front, Bart Rice saddled his first winner of the year on Friday, with his Aussie-bred filly Ace Sinhwa (Onemorenomore) scoring on her racing debut. As for the foreign jockeys, both Ikuyasu Kurakane at Seoul and Joe Fujii at Busan were among the winners on Sunday. Back at Seoul, the feature race of the weekend was won by Strong Road (A.P.Warrior) who, just like Cinderella Man at Busan stepped up to class 1 for the first time and duly registered his 7th win from 10 career starts so far. It is the year of change for horse racing in Korea. The racing calendar has been revamped, foreign ownership of racehorses has been approved (see bottom of this article) and now a new rating system is coming in. Of all the changes, it is the rating system that has caused – and continues to cause – the most debate within Korean racing circles as what it means is that if Korean-bred horses are to win class 1 races, they will need to beat imported opposition. The KRA believes this will raise the quality of Korean horses. Local breeders and some owners disagree. Under the new system, every horse will be assigned a rating from 0-140 to accurately reflect their current ability. The rating will determine their eligibility for races and their handicap mark. The ratings are for use in Korea only and are not intended to mirror what a horse’s international rating would be. Over the past couple of months horses at Class 1 and Class 2 have already been receiving a monthly rating. This will now be rolled out to all classes. – Mixed/Foreign: Races open to both Korean and Foreign-bred runners. Horses move up in class according to points earned for winning or placing in races and prize-money won. They can never return to a lower class, regardless of recent performance. 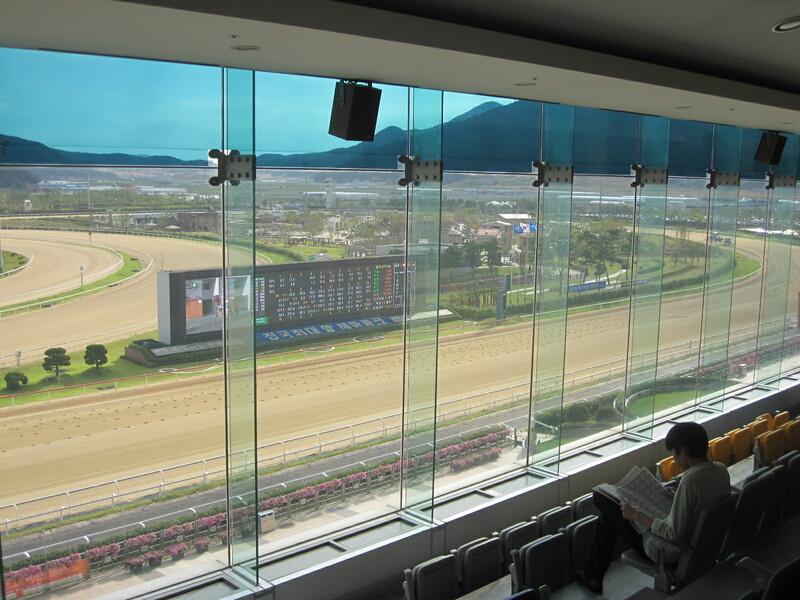 – Some races at Class 3 and Class 4 will continue to be restricted to Korean-bred runners. 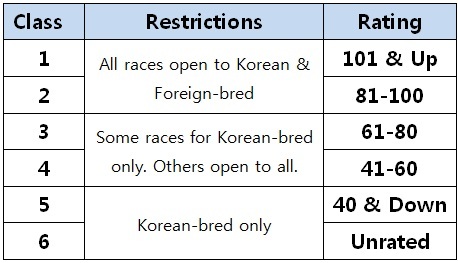 – All races at Class 5 and Class 6 will continue to be restricted to Korean-bred runners. – Horse ratings may go up or down according to recent past performance. This means that a horse may move down in class as well as up. On the subject of foreign ownership of racehorses, they will be allowed to buy up to fifteen horses, which is the same as local owners. However, unlike the locals, foreign owners must buy four Korean-bred horses for every foreign-bred horse they wish to import to Korea. This is one reason why it has been a slightly less controversial development than might otherwise have been expected. Some of the first batch of foreign owners will be able to start purchasing at the 2-year-old sale on Jeju Island in March. The fallout from the Korea Racing Authority’s 2015 plan continues with local media in Korea reporting that a coalition of breeders, owners and trainers may boycott the races from the first weekend of February. As punters, we’ll worry about that next week though because in the meantime, there’s a full set of cards definitely going ahead over the next three days. The feature race of the weekend is, as has become the norm so far this year, at Busan and takes place on Sunday when 2014 Korean Derby winner Queen’s Blade faces My Key and Peter Wolsley’s impressive Cinderella Man in the feature handicap. 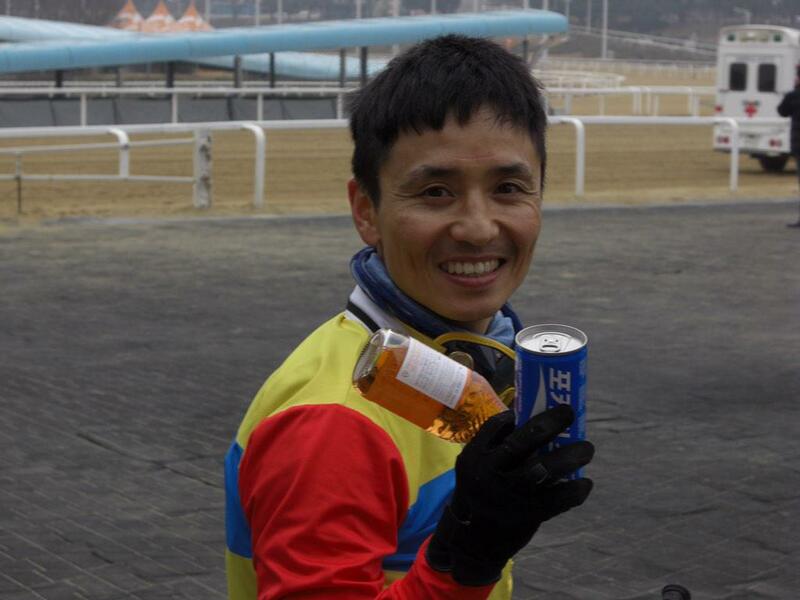 At Seoul, champion jockey Moon Se Young returns from suspension for his first rides of 2015 and has plenty of live chances across the weekend. Moon will ride Impetus in Seoul’s feature race of the weekend, a race which sees Heukgisa carrying top weight in the handicap. Among the foreign riders, Ikuyasu Kurakane, who’s nearing the end of his license period, should be in the winner’s circle at Seoul while Joe Fujii has plenty of decent rides at Busan. Nozomu Tomizawa will also be in action at Busan as will Nobuyuki Oyama who has made a quick return from injury. Masa Tanaka is suspended. Click here for full racecards from the KRA. Beolmaui Kkum remains the top-rated horse in Korea being pushed up one point following his Class 1 victory on Sunday. The latest Korean ratings, which were published on Monday, has the US-bred 5-year-old one point ahead of Grand Prix Stakes winner Gyeongbudaero. Wonder Bolt is Seoul’s top horse and is up two points following his Grand Prix Stakes win although he was scratched from his scheduled start on Sunday. He is now 7 points clear of his nearest rival in the capital. New entrants at the top of the list at Seoul include Clean Up Joy, who was 4th in the Grand Prix Stakes, while at Busan Success Story comes in following two dominant victories over the past month. Dropping off the list is Indian Blue, who has been retired ready for the 2015 breeding season. For the first time the ratings, which are for domestic use only and are not intended to be compared to international ones, have been expanded to include all horses down to class 5. The ratings are one of a number of changes which have not been universally popular among some stakeholders – principally trainers. For now though, while there will always be disagreements between connections, punters and the handicappers, they are if nothing else, providing a talking point. While Seoul’s top horse, Wonder Bolt, was scratched from what was supposed to be his 2015 debut in the capital on Sunday, down at Busan there were some strong performances last weekend. Beolmaui Kkum (Put It Back), who for the second year running, couldn’t quite get it done in the Season-ending Grand Prix Stakes a month ago, returned to Busan and returned to the winner’s enclosure on Sunday afternoon. The 5-year-old carried top weight of 60kg for the 1900M Class 1 race, a full 8kg more than the other nine runners, but that didn’t stop him leading from gate-to-wire, running on for a two length victory, his 12th from 18th career starts. Another who disappointed on his visits to Seoul last year was Success Story. A late arrival on the Triple Crown trail, he was 4th in the Minister’s Cup and last October and then a disappointing 10th in the President’s Cup a month later. Both those races were run over 2000M but on his return to Busan in December, he blitzed a class 2 field by a full seventeen lengths at 1400M. On Friday, Success Story (Peace Rules) was stepped up to a mile on what was his first try at a class 1 handicap. And the results were impressive. Jockey Jo Sung Gon took the 4-year-old to the front right out of the gate and the pair stayed there for a very easy 8-length win. Success Story is going to be one to watch out for this year, possibly, with his sprinting credentials as they are, for such event as the Asia Challenge Cup. There was also interest at Busan last Friday for this year’s Triple Crown. Rafale (Colors Flying), 2nd in the Breeders’ Cup race at Seoul at the end of November, made his own 2015 debut and his first attempt on the Derby distance of 1800M. It was a successful one with the colt streaking away for a 7-length win on the line. Rafale joins Doraon Hyeonpyo at Busan and Cosmos King at Seoul as having made very impressive first tries around two-turns and this year’s 3-year-old crop looks to be shaping up very nicely ahead of the first leg of the Crown, the KRA Cup Mile at Busan on April 5. In other news, the Japanese jockey contingent continues to go strong. 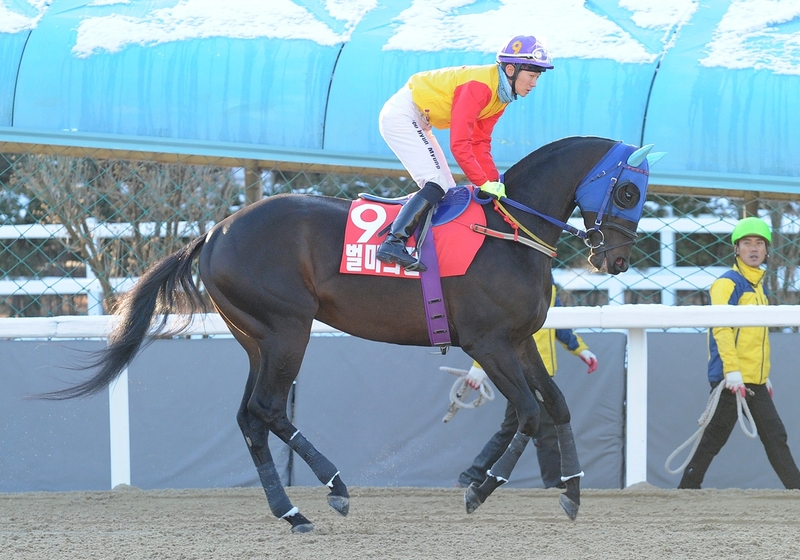 Ikuyasu Kurakane looks set to ride winners right until the bitter end at Seoul. The 2014 Jockey of the Year rode another two on Sunday. At Busan, Joe Fujii continues to be his consistent self, guiding 4/1 chance Battle Master to victory on Sunday while Masa Tanaka’s strong start to the year shows no signs of abating. Tanaka ride two more winners across the weekend, first on Nobel Shinhwa (Ecton Park) on Friday and then on Sunday on Triple Nine (Ecton Park). The latter was a 5-length win on a favourite for Busan’s top trainer Kim Young Kwan. Even though he managed to pick up a ban as well, that kind of result bodes extremely well for Tanaka. 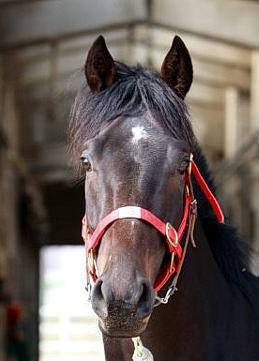 He lies in 5th in the Jockey Championship with 5 winners from 23 mounts, just behind Fujii who is in 3rd with 6 from 33.